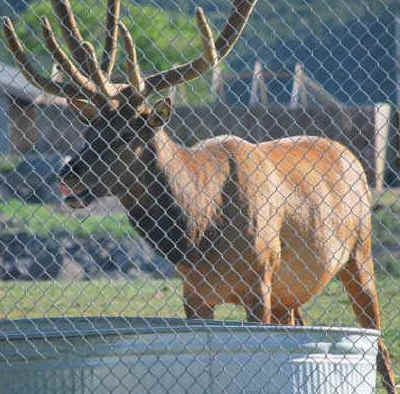 Zookeepers at Pocatello Zoo, Idaho, were worried when they noticed Shooter, a four-year-old elk, acting strangely at his water trough in August 2011. Baffled, they watched as the animal - which is so massive some keepers are afraid to even enter his enclosure - tried to dip his hooves into his drinking trough, before attempting to dunk his whole head in the water. But they were amazed as 10ft tall Shooter lifted his head from the trough clutching a tiny marmot - a kind of large squirrel - between his jaws. Zoo staff caught the entire rescue on camera. It really was amazing, said Kate O'Conner, Pocatello 's education co-ordinator. Shooter is such a huge animal - he stands at six feet tall without his antlers - which are another four feet, and he's pretty scary. Some of the staff don't like going in his enclosure with him - he's punctured car tires with his antlers before, so to see him being so gentle with a little animal was heart-warming. We all know he's a real character, but I think he must have a soft side we didn't know about. He was trying to dunk his head in the water, but his antlers kept getting in the way. Nobody could figure out why he was trying to get his head in, and then he started dipping his feet in. We were all completely confused, until we saw the marmot in his mouth. 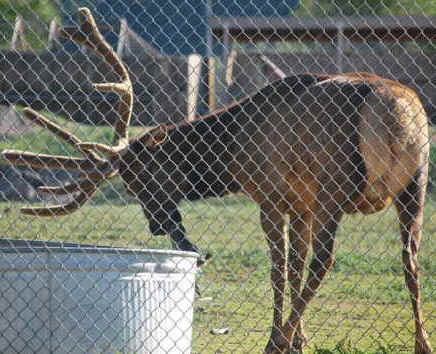 I think he had nudged the animal away from the edge of the bucket with his antlers and hooves so he could reach it with his mouth without his antlers getting in the way. It was very sweet. 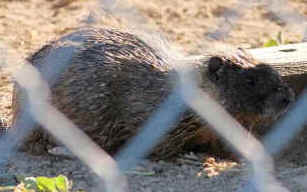 Zoo keeper Dr Joy Fox added: We think Shooter sensed that the animal was in distress and decided to help. 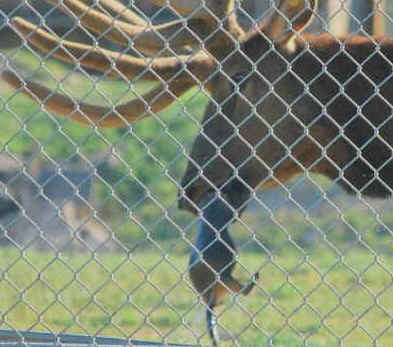 The zoo plans to auction off Shooter's incredible antlers when they are shed later in the year.